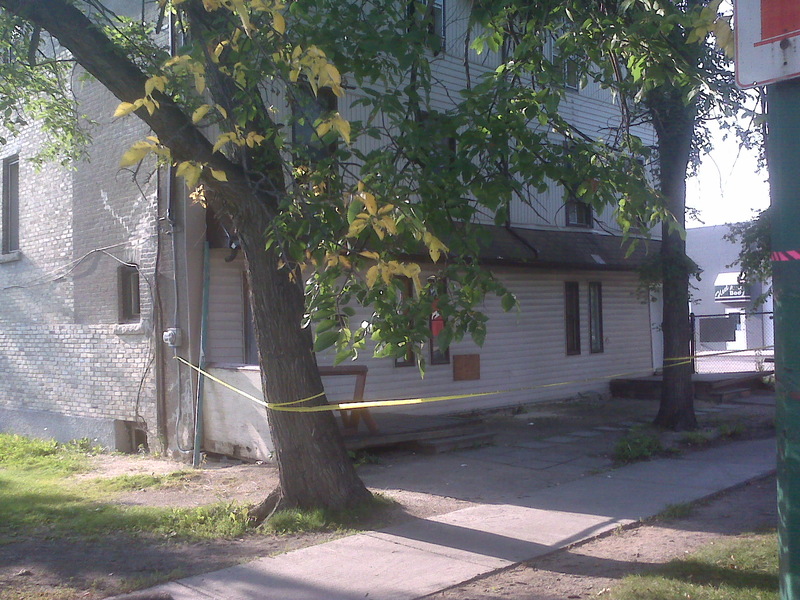 In the last year or so, there’s been 2 confirmed homicides at 624-22 Balmoral Street. Its a notorious crack den. Today, police tape went up again – residents of the building say they were kicked out by police at about 10 am and have not been allowed back in since. One woman says there was a serious stabbing and police are waiting for the ident unit to show up. Philip Mayur was killed here. Valerie Paypompee was killed here. The woman said she was told there was a large pool of blood on the north side of the building. Police officers just brought a small crowd of residents gathered on som greenspace right outside two pizzas to share. A nice gesture on a busy weekend (again) for the winnipeg police service. Tales from the system: a tragic (but criminal) love story, a pack of lies or both?